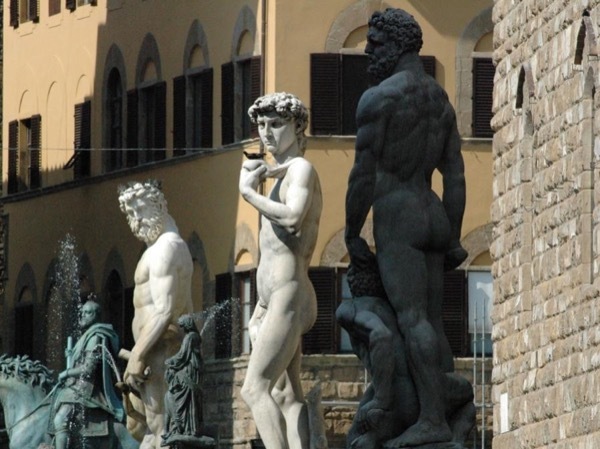 Traveler Reviews for Private Tour in Florence, Tuscany, Italy by Tour Guide Francesco C.
About Francesco C. Message Francesco C.
Francesco gave us a phenomenal introduction to Florence on an outdoor walking tour as we had requested. He has tremendous depth of knowledge regarding history, art, and architecture of the city, and presented it in an articulate and organized manner. I would enthusiastically recommend him to my family and friends! TOUR GUIDE RESPONSE: Thank you Joanne, it has been a real pleasure to spent the two days with you and your friends and thank you so much for your words. Francesco was a wonderful guide - very knowledgeable, personable and flexible. We had a mix up with timing of the tour (our fault not his) and he went out of his way to make the tour fit our new schedule. We highly recommend Francesco and would certainly want to tour again with him when we return to Florence. What a great tour for 1st timers in Florence. We only had a day to spend around the city and Francesco exceeded our expectations! We saw and learned so much. We would never have found all those sites in the limited time we had. Thoroughly enjoyed it. Thanks for a great day out Francesco. We look forward to booking another tour with you again for our next visit to Florence. Toula, Paul and Alexander. Francesco is a knowledgeable and friendly guide. He is articulate with a large English vocabulary to tell the history of the art and sculpture. We went to two locations: the Galleria dell'Academia and the Santa Croce Church where illustrious Italians are buried. We learned many fascinating details about Michelangelo's life and the story of David while viewing the impressive 17-foot David. We also enjoyed a refreshing gelato courtesy of our guide. A memorable tour! Francesco was personable and over qualified. I probably learned more from him than I would from a book. I would travel again just to take another tour from Francesco! !